There are a lot of things that have drawn me to aircraft photography this year, many of which were the things that I think initially drew me to railroad photography, back in the days before I knew many others with the same interests. The overall lack of drama within the circle of people I know well, who enjoy watching airplanes take off and land (current population: me) has been a huge influence on my decision to forego railroad photography this year. And the ability to control who knows where I’m at and what I’m doing when watching airplanes, instead of trains, is absolutely priceless. In other words, unless something changes, and changes FAST, the amount of unnecessary drama being generated by several railfans in my local community will probably destroy my desire to watch trains by the end of 2019. Add to that the immense level of selfishness and disregard for anyone else that seems to characterize the hobby in this area, and that timeline moved up to about 2 months ago. Which means that any changes at this point are pretty much too little too late. And that’s just the 1:1 scale trains. Our N scale group has a show in a couple weeks, but I haven’t decided for sure whether or not I’m going to show up for anything beyond setup and tear down. Thanks to the actions of a few (whose personal selfishness trumps any kind of regard for others), I’ve reached a point where the hobby just isn’t fun anymore. Modeling, running trains, etc., etc., etc. have become an obligation, and a source of stress and discord, not the fun and exciting diversion they once were. So….with all of that doom, gloom and downright depressing reflection above, is it any wonder that I’ve been investing my time and effort in something almost completely different and unrelated to a hobby that no longer conveys a sense of joy when I think of it? I don’t think so. And that is why I present to you….Airplanes, Part….something. I did a little research into the company, and found that at one point the company had a hub in Grand Rapids, but that hub was short lived. Regardless, during my most recent visit to the airport, I was surprised to catch 3 different flights into/out of Grand Rapids. 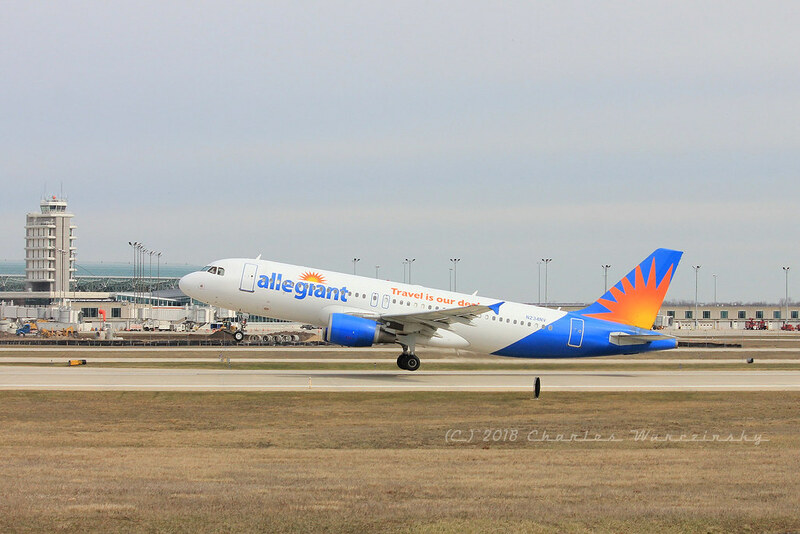 There are a couple of additional photos of Allegiant aircraft in my files, including a couple of the MD80-series aircraft, but, like many photos, I haven’t processed them to the point of uploading them yet. 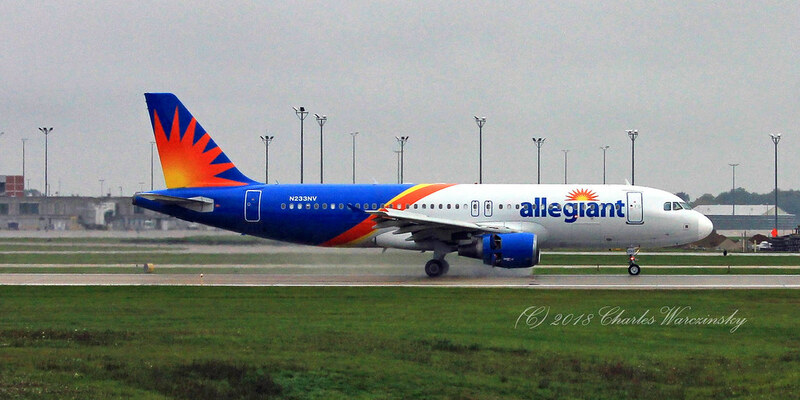 Take a couple minutes and compare the photos of the different Airbus aircraft in the photos above. 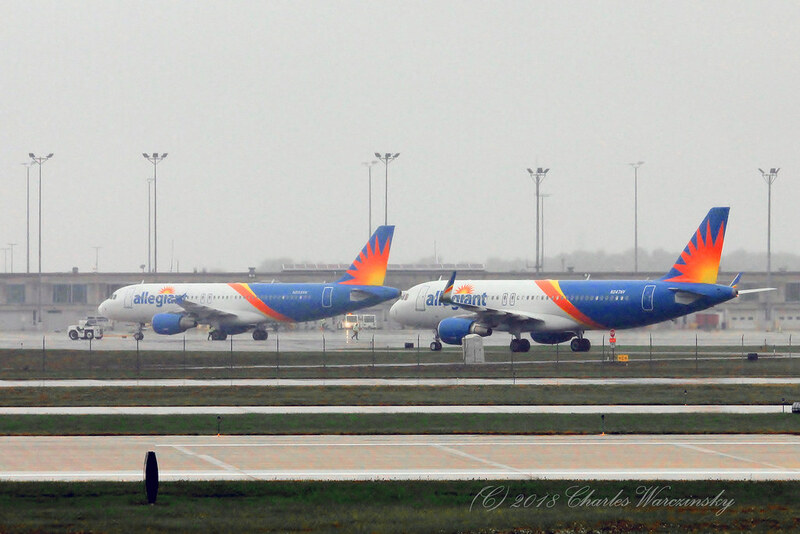 There are subtle and not-so-subtle differences in the paint schemes applied to each aircraft. One of the things I’m starting to enjoy is spotting and recording the subtle variations between them. Edit: 12-4-2018. 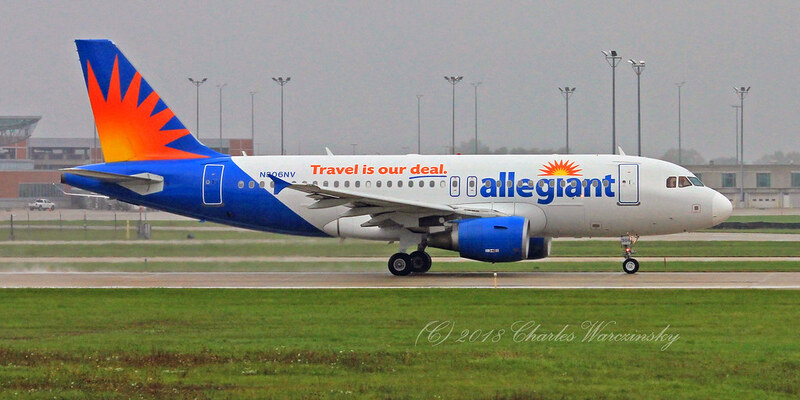 Rumor has it that Allegiant may have retired their fleet of MD80-series aircraft late this fall. 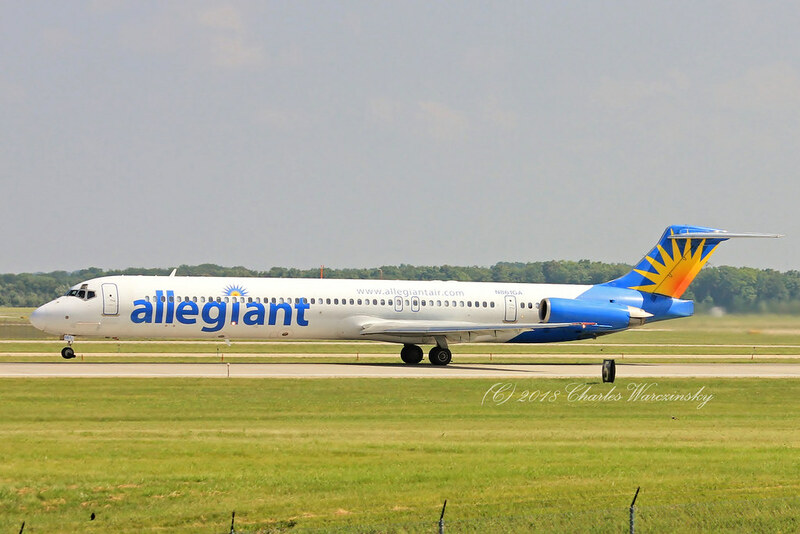 Regardless of whether or not the rumor is true, here’s N861GA taking off from Grand Rapids’ Gerald R. Ford International Airport back in July.